As the Division Chief of General Internal Medicine in the Department of Medicine at Northwell Health and Professor of Medicine at the Zucker School of Medicine, Dr. Conigliaro understands the importance of scholarly research. Prior to coming to Northwell health, he was Director of Practice Based Research and Professor of Medicine at NYU and the NYU-HHC Clinical and Translational Science Institute. Dr. Conigliaro’s research work has centered primarily on the evaluation of provider behavior change, brief interventions to reduce hazardous drinking using computer interfaces, health care disparities, and implementation of best practices. He has a strong history of mentoring junior faculty and fellows who have successfully obtained peer reviewed independent funding and have been promoted at their respective institutions. He has collaborated closely to successfully develop and implement a sustainable SBIRT program throughout Northwell Health in various primary care practices with and without the use of health IT. In addition, his role as Division Chief of General Internal Medicine has provided him with firsthand knowledge of the best methods to explore the integration of evidence-based practices into primary care practices. Finally, Dr. Conigliaro’s previous roles as center director have allowed him to successfully administer multiple projects in collaboration with other researchers and institutions. Dr. Conigliaro’s research has centered primarily on the evaluation of provider behavior change, brief interventions to reduce hazardous drinking using computer interfaces, health care disparities, and implementation of best practices. Early on in his career, he used existing data from the VA to assess the degree of racial variation in the use of diagnostic and revascularization procedures. This work resulted in one of the first articles in the literature to highlight these disparities. With funding from the VA he was able to assess some of the determinants of that variation that could be used to develop interventions to improve health equity in African American Veterans in care at the VA.
Dr. Conigliaro was the co-PI of the Early Lifestyle Medication Study, one of the earliest clinical trials evaluating the use of brief advice and motivational interviewing in primary care patients with at risk and problem drinking. This work provided efficacy data that brief interventions, particularly brief advice, were a viable intervention in primary care. He was also one of the original co-PI’s of the NIAAA funded Veterans Aging Cohort Study, a longitudinal study of veterans aging with HIV and the effect of alcohol and other risk factors on their disease progression and related conditions. This work highlighted the risk of alcohol on HIV related and other outcomes and that lower thresholds of consumption resulted in adverse effects. 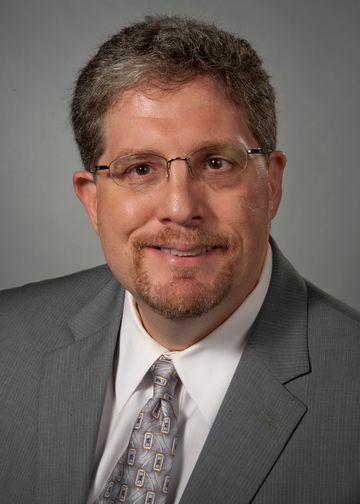 Finally, Dr. Conigliaro combined his interest in informatics and implementation science and developed biomedical informatics and implementation research programs at the University of Kentucky that were a corner stone of their successful CTSA and used health IT as a means of delivering behavioral interventions and improving quality. Fahy BG, Balke CW, Umberger GH, Talbert J, Canales DN, Steltenkamp C, Conigliaro J. “Crossing the Chasm: Information Technology to Biomedical Informatics.” J Investig Med2011;59:768-79. Block L, Jarlenski M, Wu AW, Feldman L, Conigliaro J, Swann J, Desai SV. “Inpatient safety outcomes following the 2011 residency work-hour reform.” J Hosp Med. 2014 Jun;9(6):347-52. doi: 10.1002/jhm.2171. Epub 2014 Feb 22. Coletti DJ, Stephanou H, Mazzola N, Conigliaro J, Gottridge J, Kane JM. “Patterns and predictors of medication discrepancies in primary care.” J Eval Clin Pract. 2015 Oct;21(5):831-9. doi: 10.1111/jep.12387. Epub 2015 May 29.